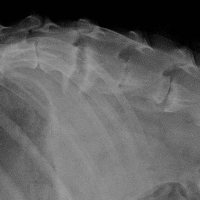 Alan Lipman, DVM, DACVR, presents a lateral spinal radiograph of a German Shepherd with generalized back pain, decreased activity and expaxial muscle atrophy. 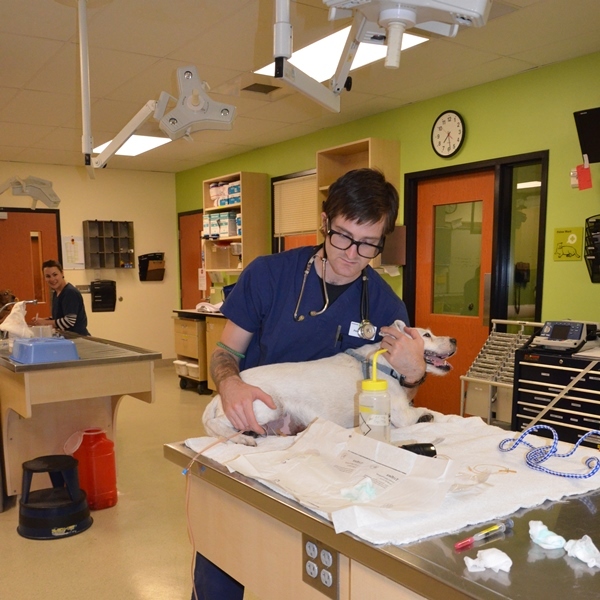 Examine the radiograph and test your skills. A seven-year-old FS German Shepherd presented to the rDVM with a history of decreased activity, generalized back pain and epaxial muscle atrophy. The cranial aspect of the lumbar spine seemed particularly painful upon physical examination. Radiographs of the spine were made, and a lateral radiograph has been included for evaluation. There is a marked increase in the width of the intervertebral disc space of L1-2. There is lucency and irregularity of the adjacent vertebral endplates, which appear roughly symmetrical. There is also marked sclerosis of the vertebral bodies adjacent to the endplates. There are much more subtle changes involving the intervertebral space at L3-4 and possibly L4-5. Discospondylitis was considered as the most likely diagnosis, given the radiographic findings. Discospondylitis is defined as a disease of infectious etiology involving the intervertebral disc spaces and adjacent vertebral endplates. Hematogenous spread of infection is the most common cause, and common pathogens include Staphylococcus, Streptococcus, E. coli, Brucella sp. and fungal agents such as Aspergillus. 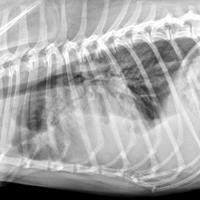 German Shepherds seem particularly susceptible to aspergillosis often involving multiple disc spaces. Aspergillus titers were performed, which were negative, however, subsequent intraoperative culture demonstrated growth of Aspergillus. The patient has responded well to systemic antifungal therapy. What is the prognosis for fungal discospondylitis vs bacterial?